Equipped for the winter. The Air Jordan 9 Boot is officially set to make its debut early December in its “Olive” colorway. Looking ahead to other release, we already know of an upcoming “Black Gum” pair and now we get a first look at this colorful iteration. 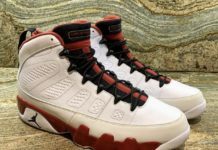 Shared by Frank Cooker, this boot-inspired Air Jordan 9 sports a Grey-based upper highlighted with ’90s sportswear-inspired colors of Teal, Purple, Orange and Red. No word on when/if these will release. 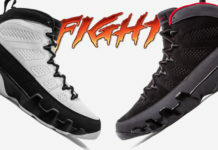 But you can get a first look at the Air Jordan 9 Boot Multicolor below and let us know what you guys think of them in the comments section. Stay tuned to Sneaker Bar for more updates.